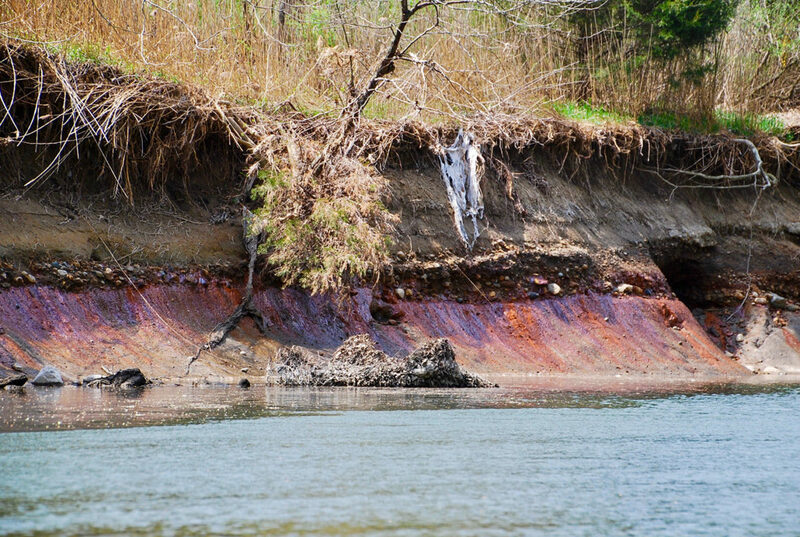 The seepage – also known as seeps – tests positive for toxic chemicals and heavy metals associated rwith coal combustion waste, according to environmentalists who ran the tests. 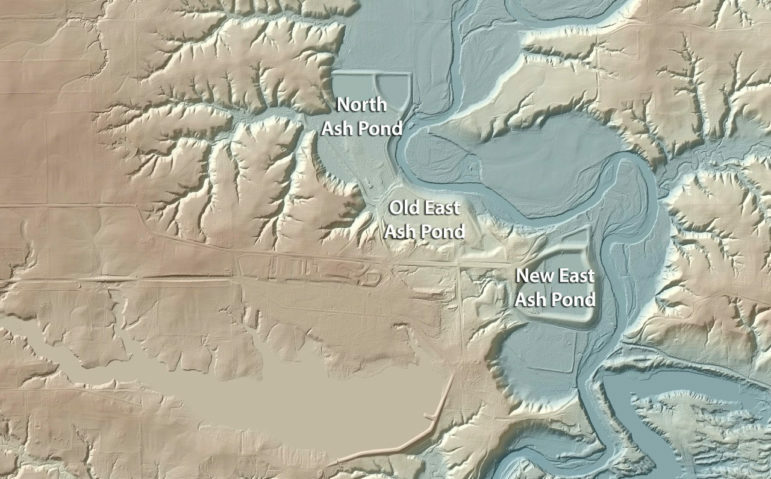 When the river is low the contaminants collect in multicolored pools, evidence of groundwater flowing through the ash ponds into the river. 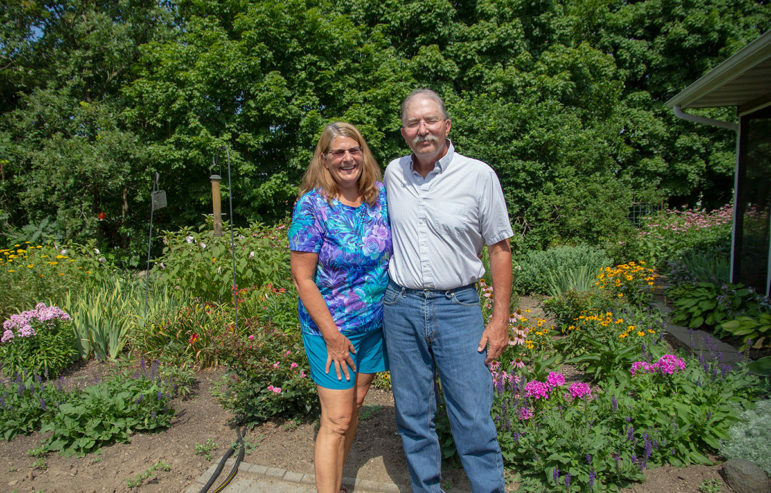 Long-time Oakwood residents Kristin and Mike Camp have become local activists to protect the Middle Fork River from coal ash pollution from the Vermilion Power Station. 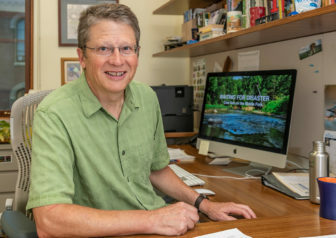 "Their own tests show that they're polluting the groundwater with toxic chemicals," Kristin said. 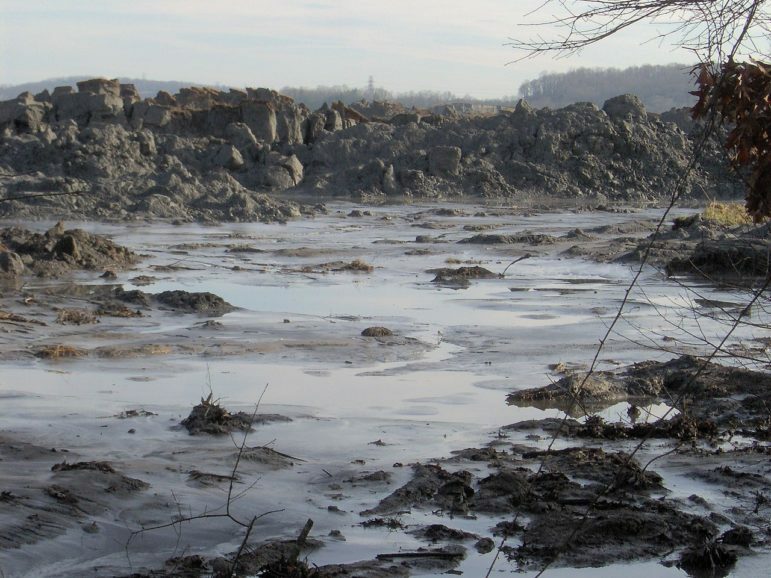 "It's absolutely seeping through the coal ash pits into the river." 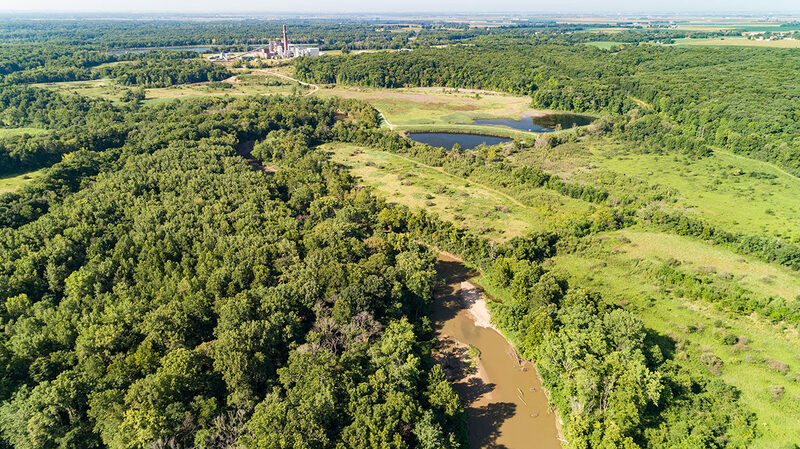 “There's been a groundwater violation notice at the Vermilion site since 2012,” said Andrew Rehn, a water resources engineer with the Prairie Rivers Network, the nonprofit environmental group that has tested the seeps. Such collapses have happened twice in the last decade in the U.S - in Tennessee and North Carolina. 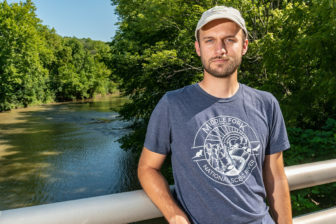 “What we're seeing if you take a canoe down the Middle Fork is that this coal ash is seeping through the riverbank and creating a couple hundred feet of orange purple oily sheen stained riverbank where coal ash pollutants are entering the Middle Fork River,” Rehn said. 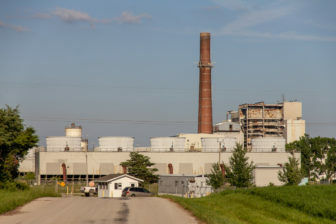 “Vermilion was exempted from the 2015 EPA coal ash rule because it's a so-called legacy site where there was not an active power plant in place as of the effective date of the rule,” said Thomas Cmar, an attorney from Earthjustice who is representing Prairie Rivers in its lawsuit against Vistra/Dynegy. 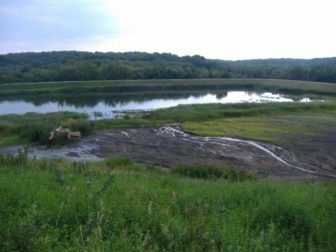 "The permit for the closed facility has been on hold to allow coordination of efforts to address bank stabilization and final closure of the ash ponds," replied the Illinois EPA replied via email on July 26, 2018, when asked about Dynegy's permit. "In the meantime, the company is still obligated to comply with the permit conditions established in Permit No. IL 0004057." 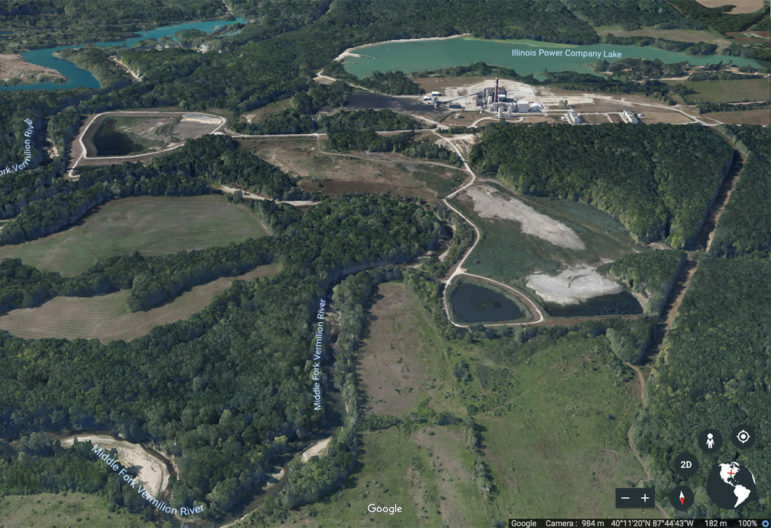 Vistra is preparing to permanently close its three Vermilion coal ash impoundments, either by excavating and removing the coal ash, or capping the ponds and leaving the ash in place. 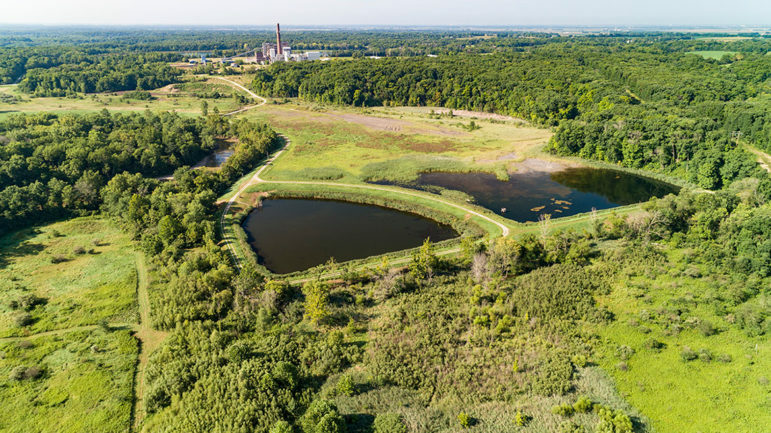 The company plans to submit a closure proposal to the Illinois EPA in October, including its latest groundwater testing and hydrological studies of the site. This lidar image shows the main channel and the floodplain of the Middle Fork River. The Vermilion Power Station coal ash ponds are located within the river's floodplain.